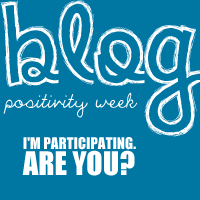 Today's Blog Positivity Week word is Creativity. 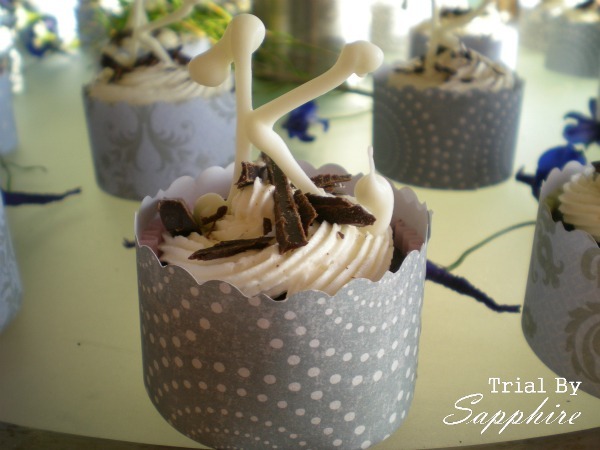 Other blogs inspire this non-crafty lady to try being crafty. (You can read the story behind my blog name HERE.) And my blog is my space to share those adventures -- even the crafty adventures that are an epic fail don't turn out the way I planned. I'll bet you thought I completely forgot about the rest of my DIY wedding posts, didn't you? Well, I didn't! But life happened, and then I never felt like I had enough time to compose a worthy post. But alas, here I am. I'm back with more about my DIY wedding! you have until 11:59pm CST today to enter my giveaway! Okay, enough about that. 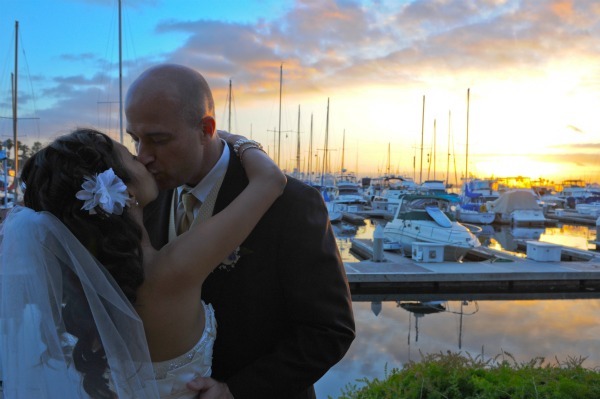 More about my wedding! 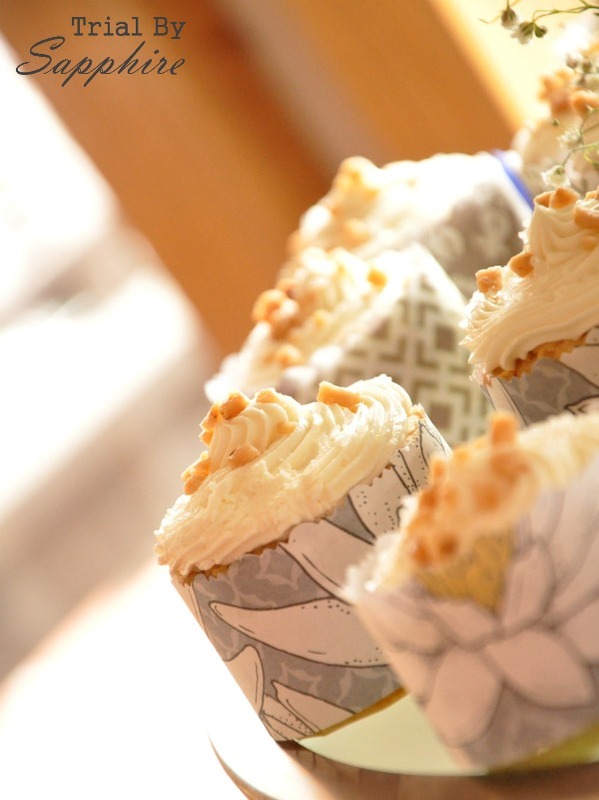 My cousins make gourmet cupcakes that are to-die-for! And look at that presentation! 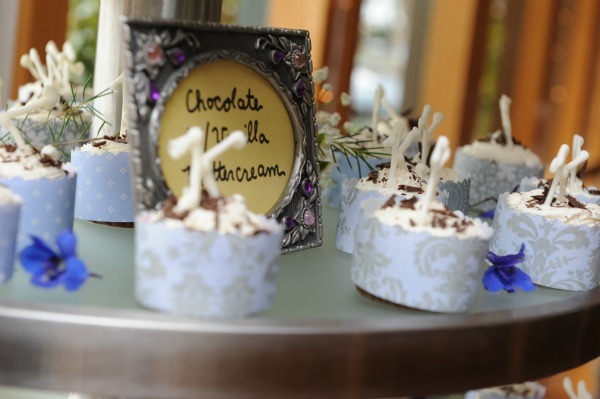 They really pulled out all the stops for our cupcakes, and they were a hit (as always). My personal favorite is their red velvet. I can never eat one. Never! Thank you, Sam & Sara! Another cousin of mine is a floral designer! We spent one hour at Wholesale Flowers picking out flowers. I had only two requests: I wanted a lot of baby's breath, and I wanted it to look very natural -- like a ran through a field with open arms and scooped up the flowers. Mission accomplished! She worked wonders! Thank you, Yvonne! Mr. TBS worked in entertainment, and he treated our music like any other directorial endeavor. He created playlists according to each phase of the day: "pre-show" (as we called it out of habit of working in theme park entertainment), ceremony, cocktail hour, and dinner. Just like a show, the music had to set the mood. Every song was hand-picked and placed in a certain order. He burned them onto CDs, gave them to our friend and DJ, Dave, and we were covered. We left the dance floor to Dave! 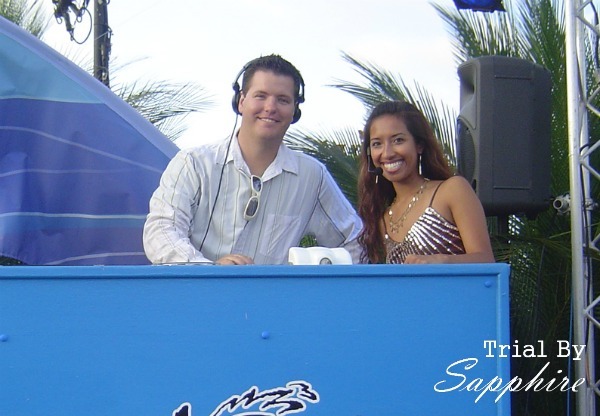 I met Dave of Hit It Music Productions when we worked on a show together at SeaWorld in 2006. He is fun to work with and an awesome DJ. He quickly became a favorite of the company and continues to DJ everyone's wedding, and mine was no exception! I cannot sing his praises enough. San Diegans, this is your guy! The photos displayed on the reception tables were of Mr. TBS and I growing up -- life before falling in love with each other. 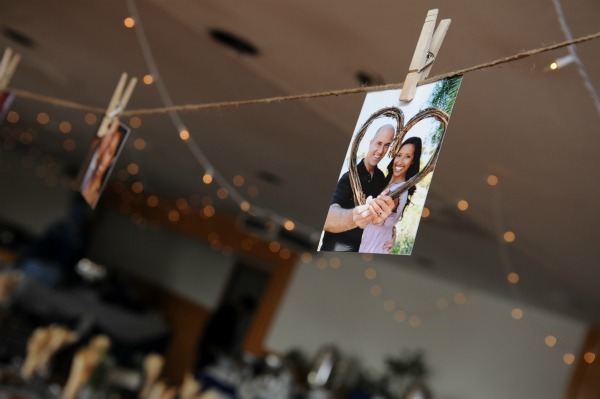 Then, we displayed photos of us over our 4.5-year relationship on a twine-and-clothes-pin photo line! It's so fun reliving my wedding. Thanks for joining my trip down memory lane! It's almost our first anniversary! Q: "When are you going to have a baby?" A: "I don't know. Do you?" Q: "So... when are you going to have a baby?" Peer Pressure: "Oh, my gosh. Your kids are going to be so beautiful!" Response: "How kind of you to say that! (pause) That's not going to make the baby come sooner." AND last thing - you look gorgeous in the picture with the DJ - I love your smile, Linds! I love all the DIY you had at your wedding. Obviously I'm obsessed with cupcakes. They look so good! Love the photo line too. And ohhh the infamous baby question haha. It's totally not necessary! Loved your DIY wedding! I seriously do! I think it looks so beautiful. 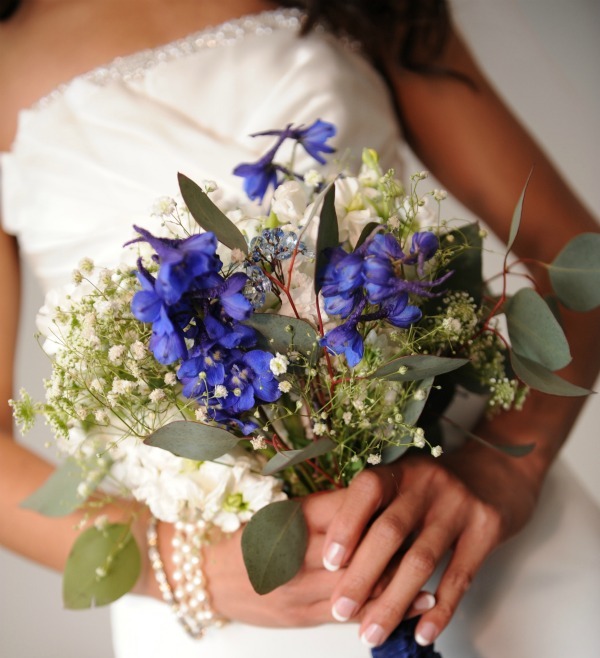 You bouquet is perfect, i also love baby's breath! In love with your wedding... all the DIY's...and how beautiful everything was! Seriously, you're too cute!! Oh my gosh, I love your flowers! So simple, yet so incredibly beautiful. I love that you decided you wanted wildflowers like that. Gorgeous! And I so know what you mean about the baby questions...why can't people just mind their own business!? Lindsay! I love every part of your wedding. I want to get married all over again. :-) MAYBE I just will. HAHA! love love love this whole wedding! so fabulous!